ARE YOU DREAMING ABOUT FLYING AWAY SOMEWHERE, CRUISING OFF INTO THE SUNSET OR JUST A STAYCATION? Captiva Island, Tween Waters 1 bedroom condo/ hotel/ bungalow valid for 3 night stays “off season”. A direct flight for 2 to ASHVILLE, NC from PGD airport, with 2 nights hotel accommodations. Enjoy the cooler weather and tons to do: Omni Grove Park SPA, Biltmore mansion, zip lining, great food and the Blue Ridge mountains. A 3-4 day Caribbean cruise for 2. 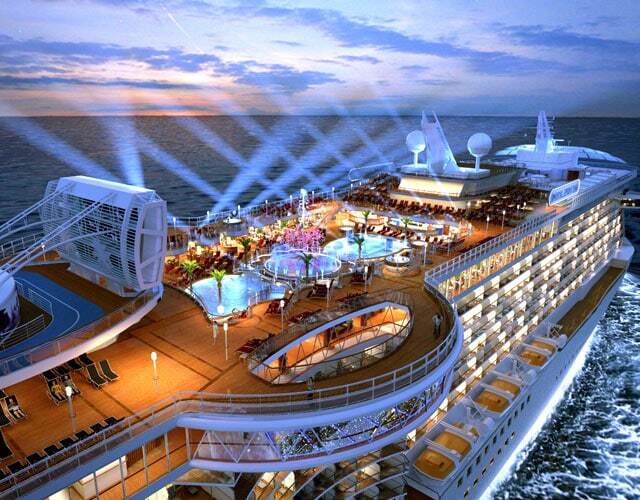 Date and specific cruise is your choice! This is a 2 person vacation to be given away in a random drawing from all client referral entries received from the current year and from completed guest survey reviews. No purchase is necessary to win. You must be 18 or older to enter. Employees of Elite Florida Realty and their families are not eligible to win. The winner agrees to allow us to use his/her name, picture, city and state for promotional purposes. Max payment by Elite Florida Realty for any or all of these vacation packages is $1,000.00. All taxes, state, federal or local fees and personal charges are to be assumed by the winner. Submission of contest entry implies understanding and acceptance of the Contest Rules and Guidelines. Drawing to be done in December annually. Winners will be announced publicly and contacted personally to claim prizes.